Have you always had a knack for working with technology? Are you analytical, inquisitive, and patient? Do you like to make things run faster, more safely, or more efficiently? 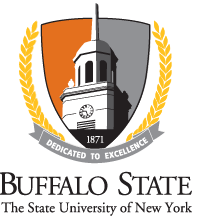 If so, you might be the perfect candidate for Buffalo State’s Industrial Technology program. Industrial technology is the science of making production faster, easier, and more efficient by using a variety of engineering and manufacturing skills. An IT professional might operate heavy machinery that manufactures products; configure equipment that forms product components; or identify quality defects and possible improvements. Industrial Technology should not be confused with information technology, which is the process of troubleshooting computers and Internet systems. Manufacturing: Students specialize in direct manufacturing support of a technical or managerial nature. They learn management principles, physical sciences, technology of industry, and liberal arts to optimize manufacturing processes, materials, and personnel. Quality: This concentration allows students to develop the ability to assist the product or service organization in obtaining the maximum level of quality performance in a lean environment. It requires a professional internship in a specialty position in a local organization as a culminating activity. Professional accreditation: Our program is accredited by the Technology Accreditation Commission/Accreditation Board for Engineering and Technology. High job placement: Typically, 100 percent of students will find industry employment within one year or less after graduating. Students with the highest GPAs usually have multiple job offers. State-of-the-art facilities: IT students may utilize the Thermal Sciences Lab, Vibrations and Structures Lab, CAD/CAM Lab, Control Systems Lab, Electrical Power Systems Lab, and/or Student Project Labs. 3D printer: Buffalo State engineering technology students are using the new 3D printers to make a range of objects out of plastic, including tools and a remote-control helicopter. National Association of Black Engineers (student chapter): Founded at Purdue University in 1975, NSBE now has more than 31,000 members with 250 active collegiate chapters. NSBE offers plenty of academic support including professional development, leadership training, resume building, and gateways to career opportunities. Undergraduate research is integrated in senior design course sequence and many courses have applied learning integrated in them. There are internship opportunities at New York Power Authority (NYPA), National Grid, engineering consulting firms, and many other companies.